Capstones shift, nothing resettles right. Telluric ash and fire-spores boil away. 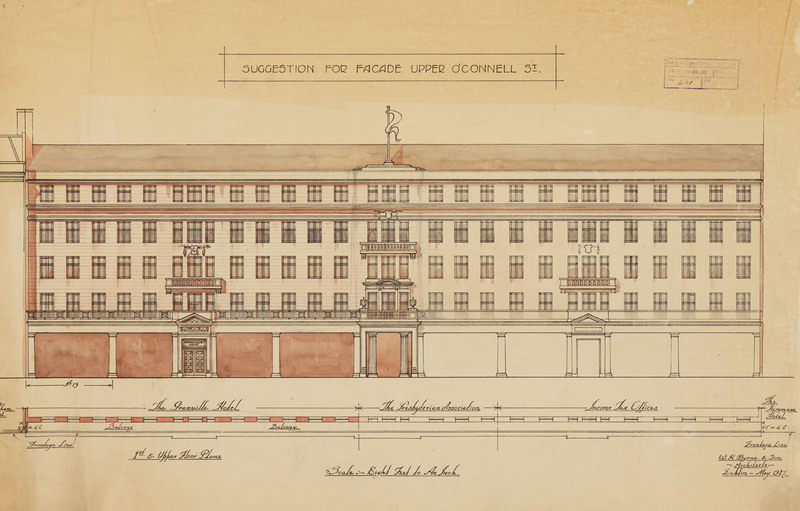 The early 20th-Century Irish revolutionary period left many legacies, not the least of which was its direct impact on buildings. 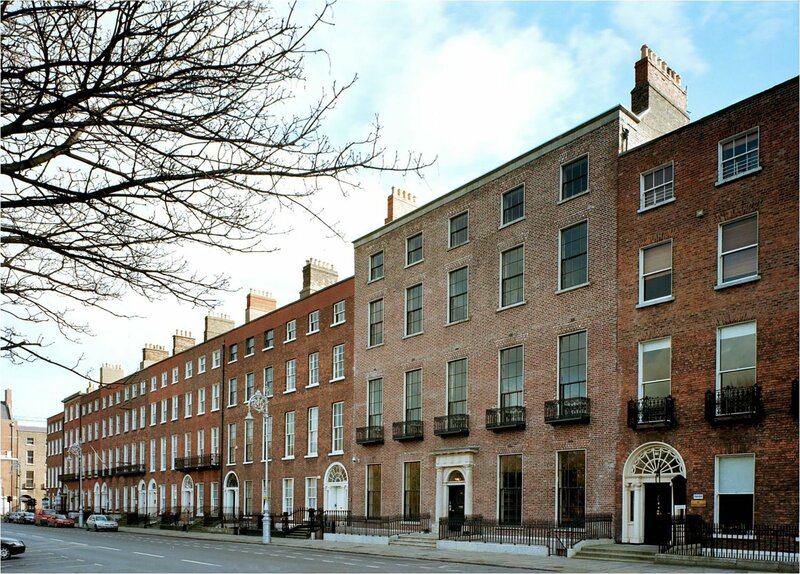 From the loss of buildings destroyed to the debates about how to repair the city fabric and on to the rebuilding itself, there is ample scope to reflect on the physical impact of the Easter Rising, the War of Independence and the Civil War, on central Dublin in particular. 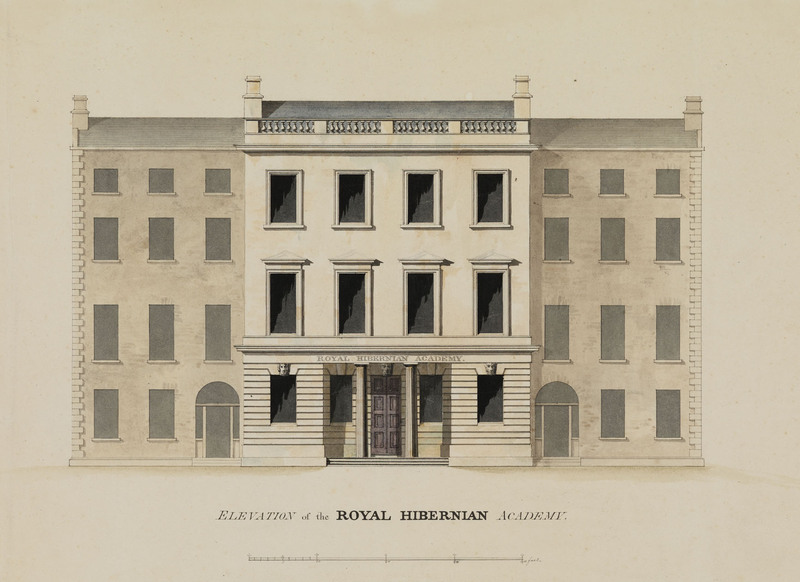 This exhibition, with sixteen panels and over 110 images, draws on the holdings of the Irish Architectural Archive to focus on a selection of prominent Dublin buildings destroyed, or utterly changed, by the events of Easter 1916 and later. 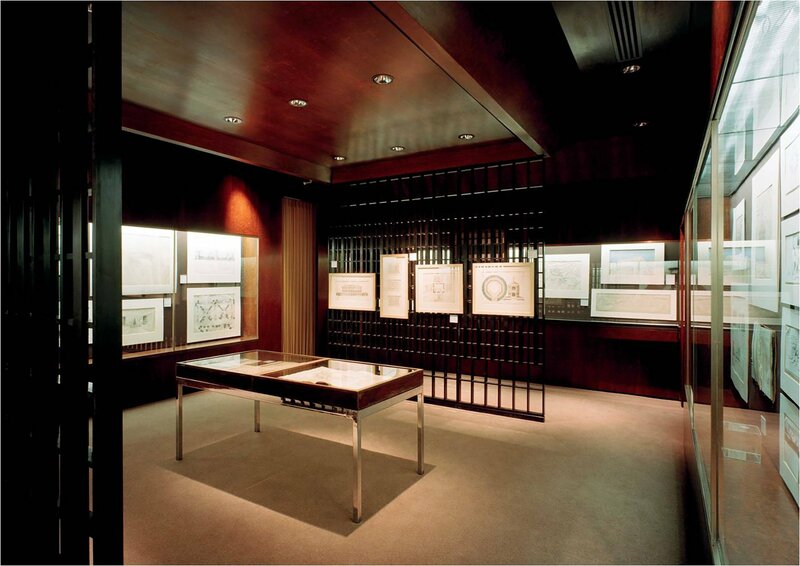 These buildings were central to myriad social, commercial, political and religious patterns of life. Their absence, or removal from use, would have had an immediate and disconcerting effect on the daily routines and interactions of thousands of ordinary Dubliners as they lived, moved, worked, prayed and entertained themselves in the post-Rising city: quotidian disruptions making unavoidable and unignorable the profound political phase-shift that had occurred. 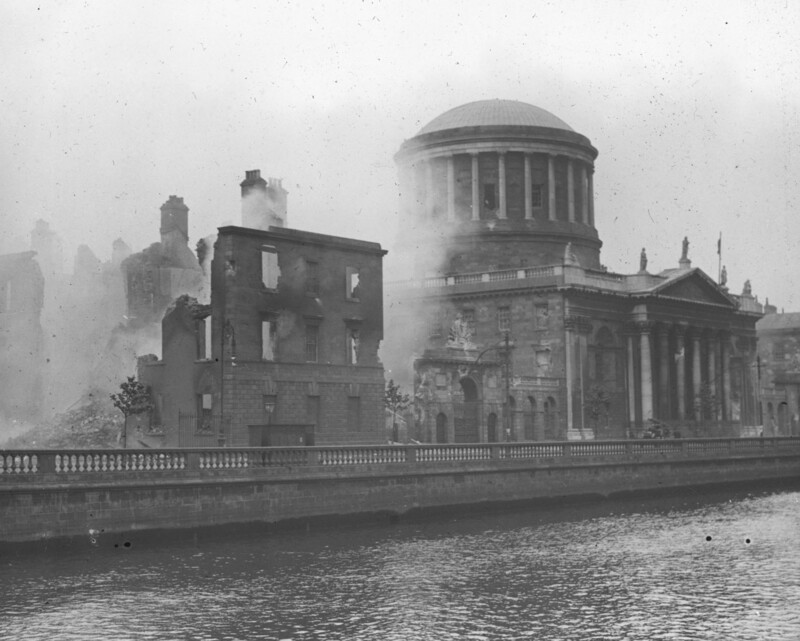 Dublin was not the only place affected by the violent destruction of buildings. 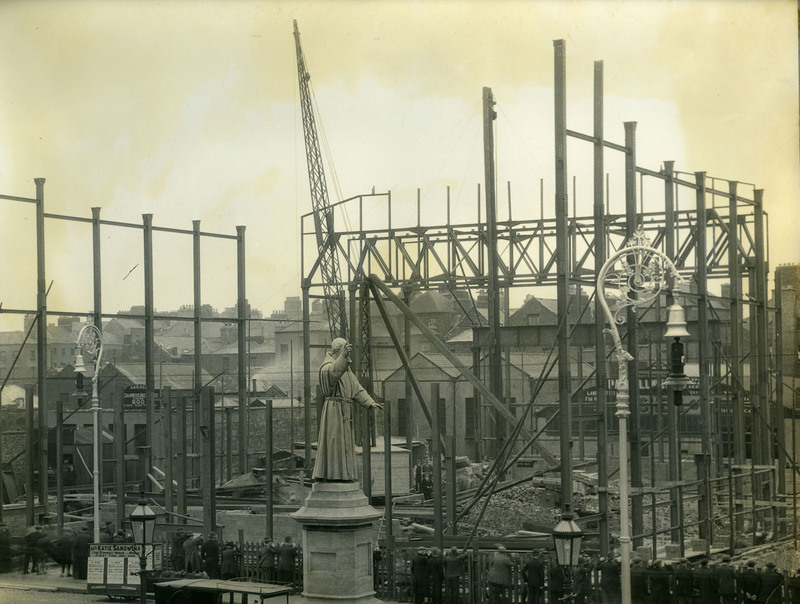 The centre of Cork was burned in December 1920, while over 275 country houses were attacked and destroyed between the start of the War of Independence and the end of the Civil War. 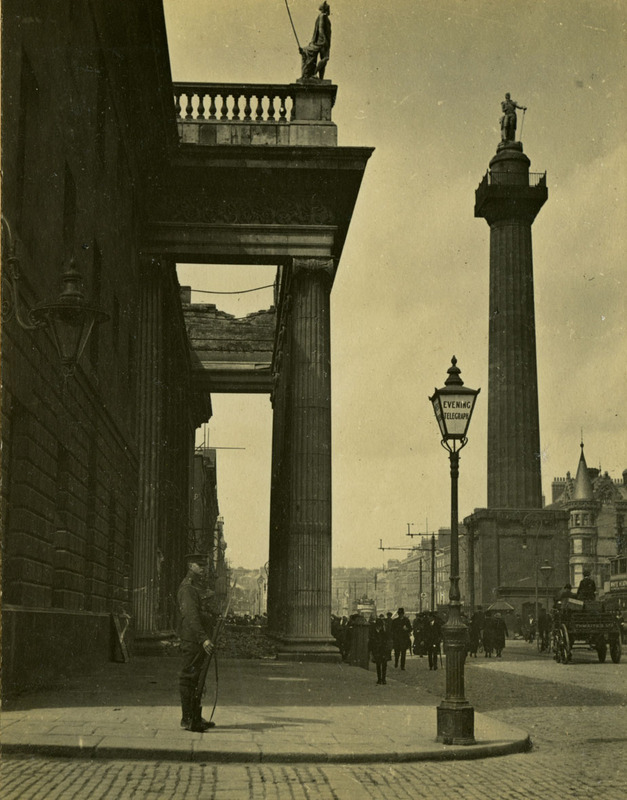 But the shock of widespread building damage was first felt in Dublin and recurred more often, while the quality of some of the buildings destroyed, coupled with the fact that Dublin became the capital of the newly independent state, brought a particular intensity to the debates around loss and rebuilding. 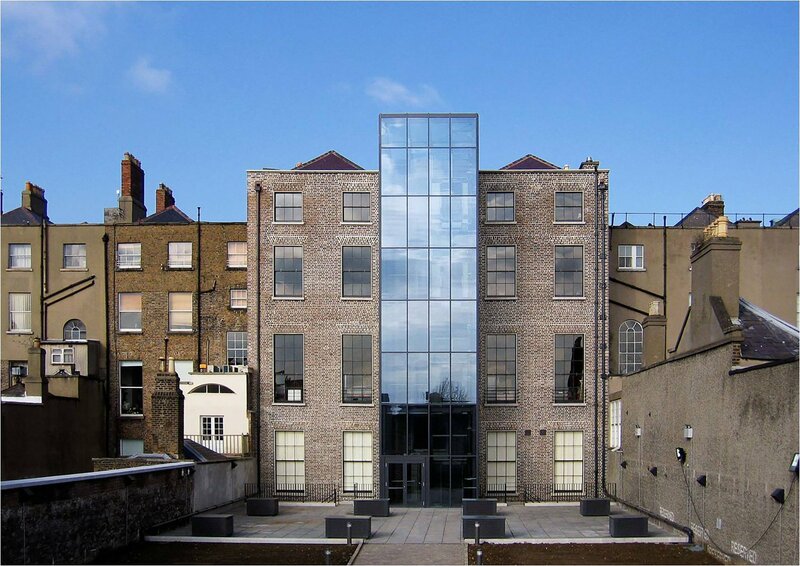 This exhibition forms part of a wider programme of lectures, exhibitions, conferences, film screenings and publications presented by Dublin City Council and University College Dublin Decade of Centenaries with the support of The Department of Arts, Heritage and the Gaeltacht and in association with Architecture Ireland, Ireland 2016, The Irish Architectural Archive, The Irish Architecture Foundation, The Irish Film Institute, The National Inventory of Architectural Heritage, The National Library of Ireland and The Royal Institute of the Architects of Ireland. Spread over the first half of 2016, the Centenary of the Rising, there will be a particular concentration of events throughout the month of June. 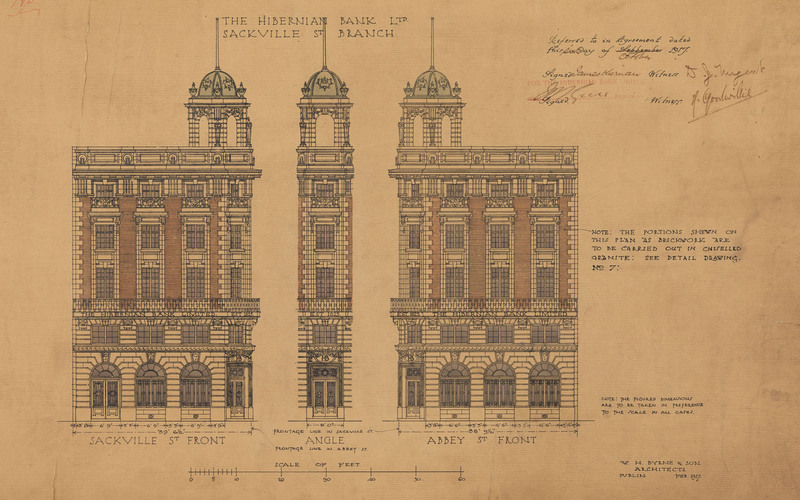 The Irish Architectural Archive gratefully acknowledges the support of the Department of Arts, Heritage and the Gaeltacht in making this exhibition possible.